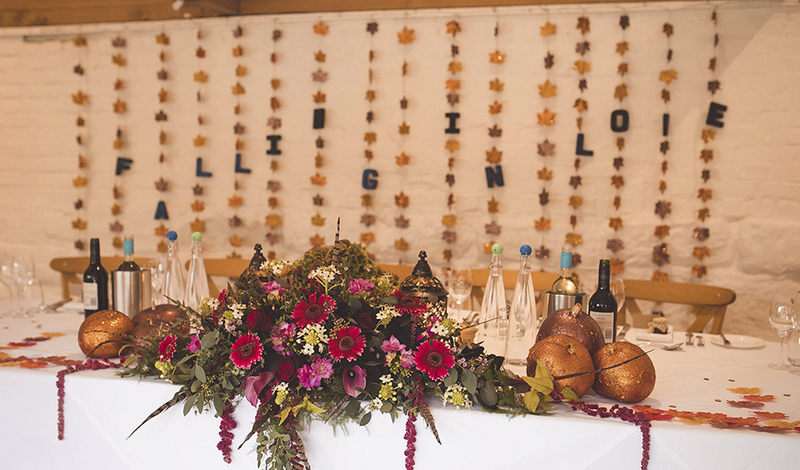 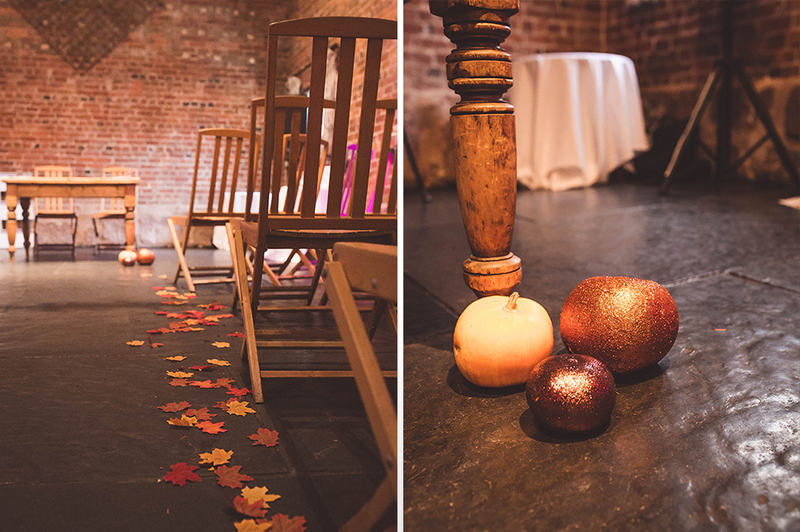 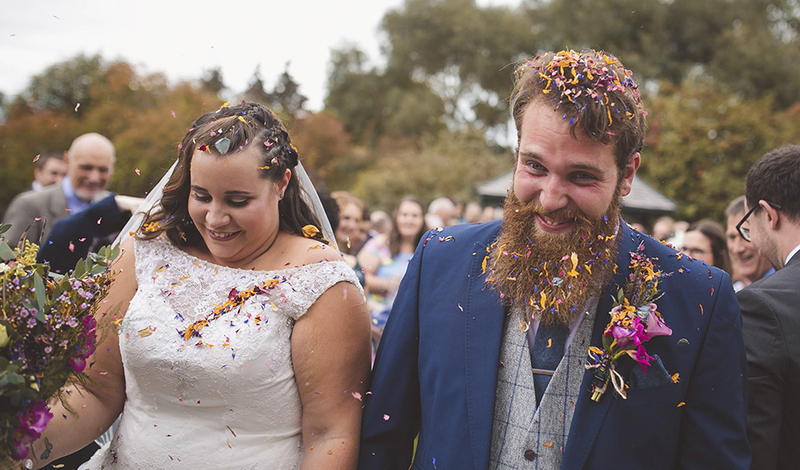 With a pretty colour scheme, fantastic entertainment and exquisite food, the Autumn wedding of Catherine and Adam featured thoughtful, personalised details. 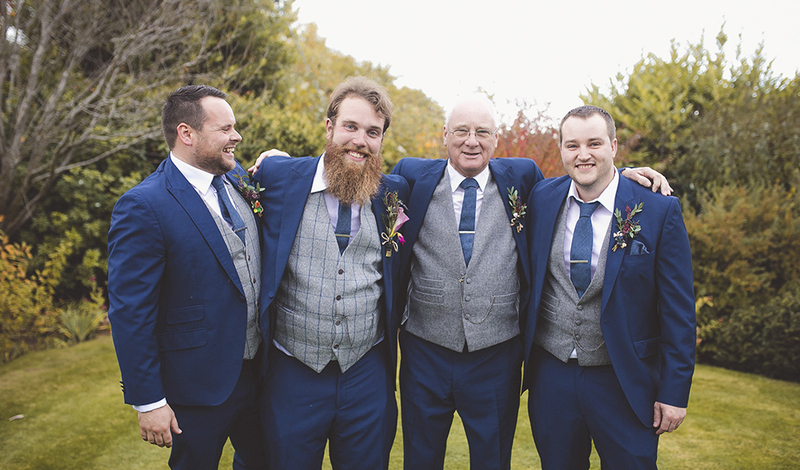 What could be better than having your own dog as the ring bearer! 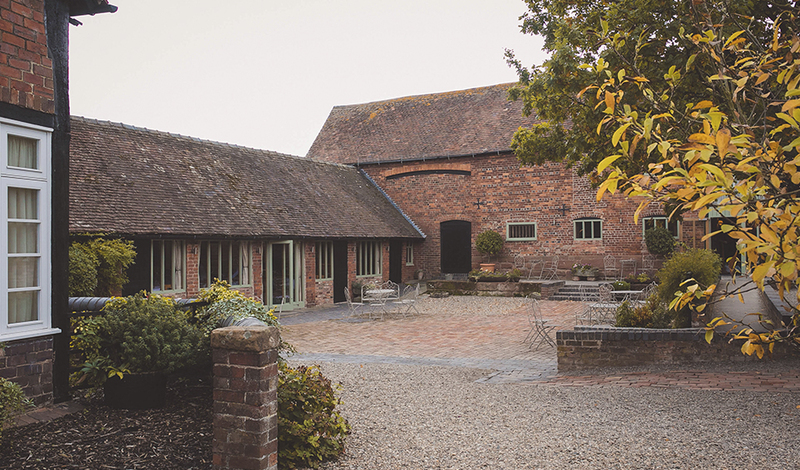 Searching for a barn wedding venue in Worcestershire for their special day, Catherine and Adam fell in love with Curradine Barns. 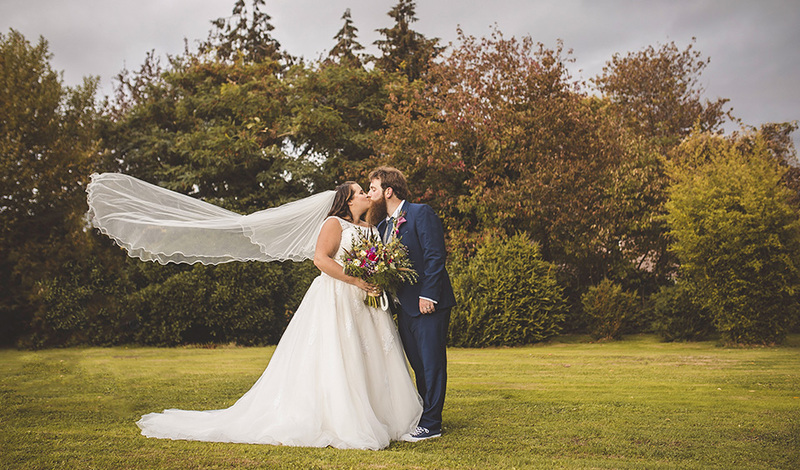 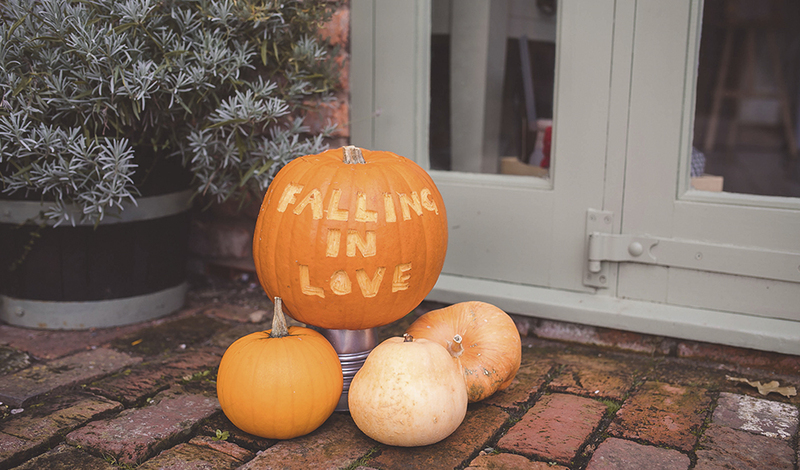 With an October wedding date in mind, the happy couple chose a blue colour scheme and introduced glitter pumpkins and illuminated letters to create an autumnal vibe. 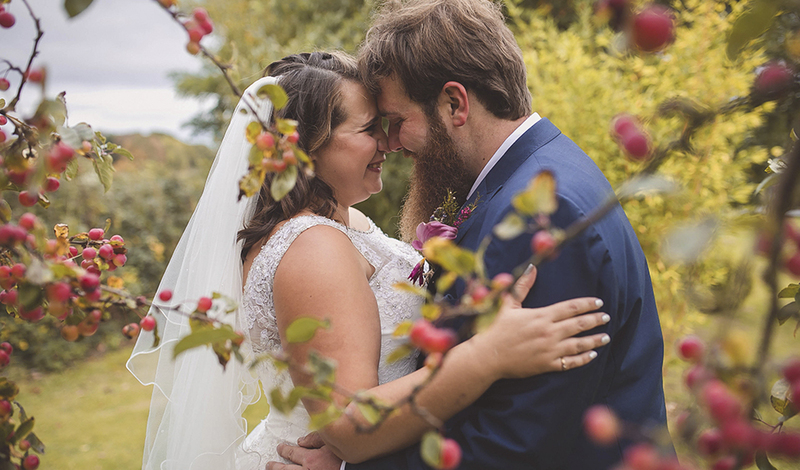 The bride was stunning in a second-hand Mori Lee gown from Bridal Beloved. 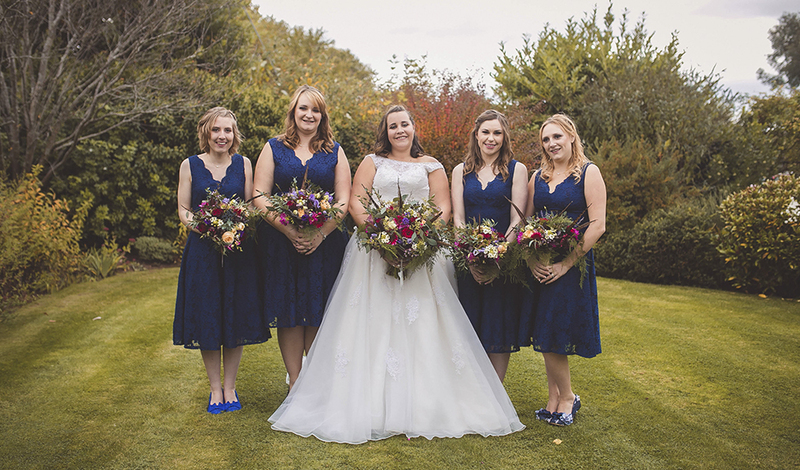 Meanwhile, Adam looked the part in a navy suit with grey waistcoat while the bridesmaids were beautiful in dresses by Jolie Moi at Debenhams. 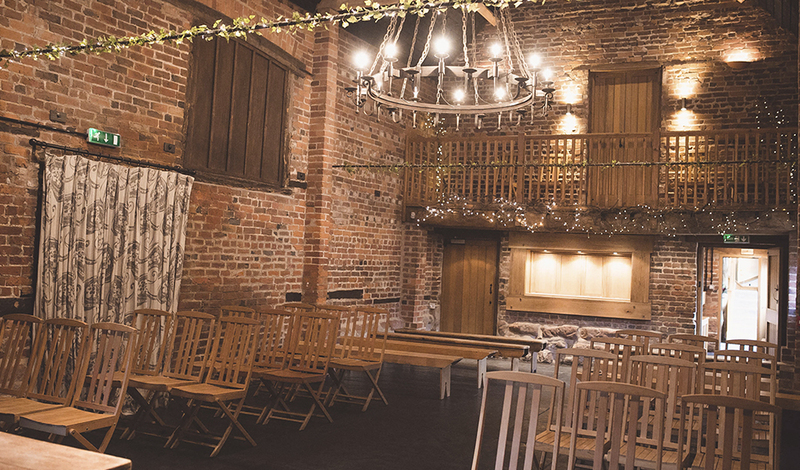 Following their romantic ceremony in the Granary Barn, the newlyweds celebrated with Pimms and canapés in the courtyard before moving in to dine. 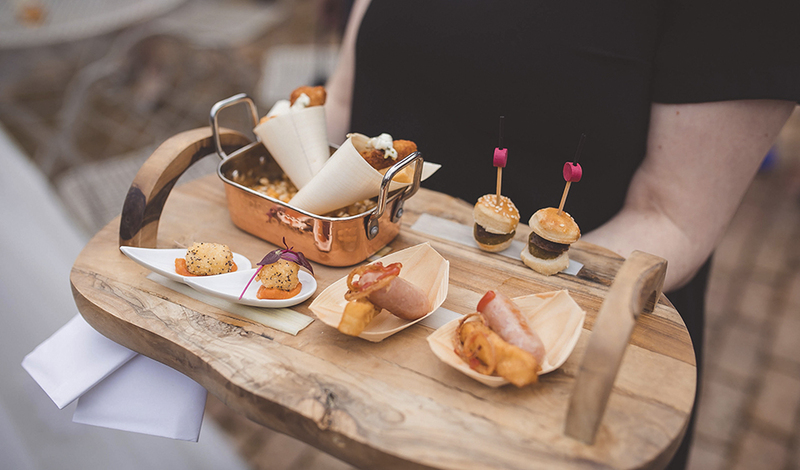 The wedding breakfast commenced with a smoked bacon scotch egg starter followed by steak and lemon tart. 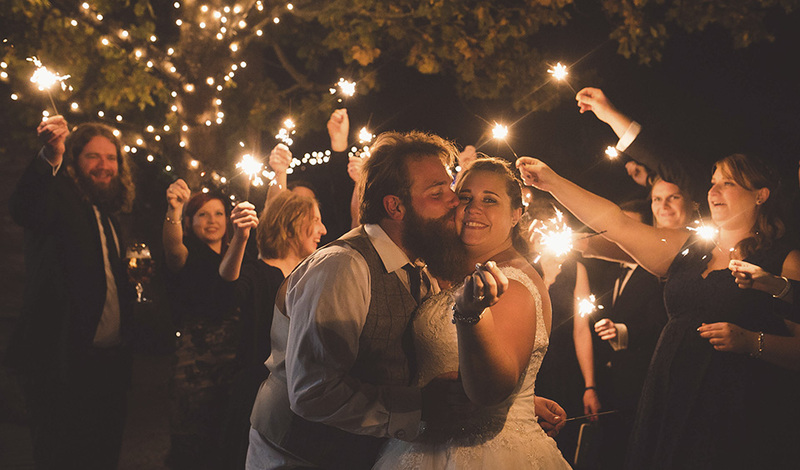 Dancing their first dance to ‘World in Flames’ by ‘In This Moment’, Catherine and Adam had a great party in store! 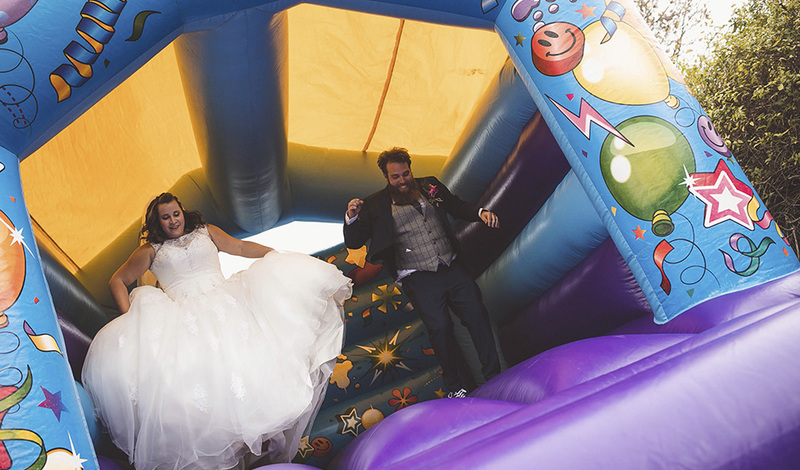 Creating their own playlist, the dance floor filled and a bouncy castle and gladiator podium on the lawns added some outdoor entertainment. 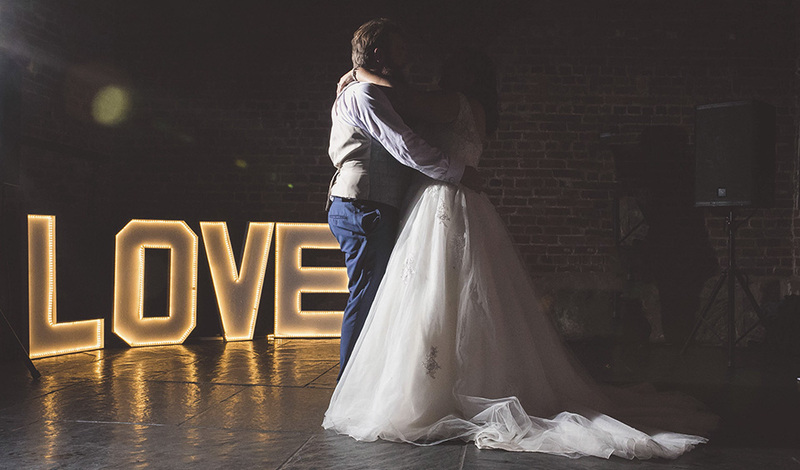 If you’re looking for any more inspiration from this Worcestershire wedding venue, we hope you’ll also love Yasmine and Rich’s Arabian Romance at Curradine Barns.